Why do we brew? A thread from our discussion forum some time back about “why we brew” got me thinking about the advantages that home brewing as a hobby bestows. Intrinsic Rewards- Brewing beer has its own intrinsic value. There is something people find inherently rewarding the creative process. Its not just any beer, its your beer that you designed and created with your own two hands. In a sense, the ability to do something new, unusual, challenging and rewarding is the basis for all hobbies including this one. Limited Time Needed – Brewing is a great hobby for busy people, as it really does not take that much work to brew a batch of beer. Extract brewing consumes perhaps a few hours of time spread out over several weeks, and even all grain brewing adds only a few hours of additional work. You can adjust the amount of time as needed to match your schedule. Quality over Quantity – Home brewed beer is hand crafted, which means the home brewer can use ingredients and techniques that are commercially infeasible for the big breweries. In home brewing, all malt full bodied beer is the standard, and cheap additives are the exception. Imagination Unleashed – Brewing beer opens up a world of possibilities. Home brewers can experiment with ingredients, styles and techniques spanning the entire world. The possibilities are limited only by the brewer’s imagination. Reduced Hangovers – Home brewed beer contains a large quantity of yeast with Vitamin B. Vitamin B reduces the effects of a hangover naturally. 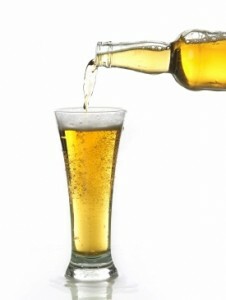 Commercial beers are filtered and pasteurized, both of which strip the vitamin B from the beer and lead to hangovers. The Cost Advantage – Though the malt and hops shortage have temporarily raised the price of home brewing, penny pinching all grain home brewers can still brew 5 gallons of beer for less than the cost of comparable commercial beer. Over time, I’m confident prices will come back down as the market balances supply with demand. The Social Aspect – Home brewing is inherently a social hobby. Brewers are passionate about their beer, and the home brewing community is vibrant and growing. In addition, you may find your neighbors are fond of your latest creation and start dropping by more often to sample your beer. The internet and Web 2.0 sites like BrewPoll have made sharing the hobby even easier. Health Benefits – A number of medical studies indicate that alcohol, properly used in moderation at 1-2 drinks per day can provide a number of health benefits. Obviously drinking too much can have a huge negative effect, so we recommend drinking in moderation always. In addition, dark beers provide many of the same benefits as dark wines with regards to high flavinoid content to promote a healthy heart. All natural ingredients including a solid dose of brewer’s yeast provide secondary health benefits. A recent article by Charlie Papazian points out that a 12 oz glass of beer has less calories than 12 ounces of juice, milk or soda. The Challenge – Making commercial quality beer at home using recipes you developed is a challenge. However the challenge is part of the charm. There is a wonder in sharing a beer you created by hand with friends that is made even better if it is a difficult style or complex technique. Pushing the limits of the hobby to create the perfect brew is part of the fun. Unlimited Variety – Home brewing takes us outside the narrow limits of popular commercial beer, and exposes the home brewer to a world of beer styles and possibilities. Home brewed beer gives you the opportunity to explore German, English, Belgian and other styles that an average drinker would rarely be able to access. If you would like to add your own thoughs on “why you brew”, feel free to leave a comment below. Thank you for joining us on the BeerSmith Home Brewing Blog. As always your comments and thoughts are appreciated. If you have not done so, please consider subscribing for regular email or RSS delivery. Nice article. I think the point about the cost savings is valid, although really I don’t think that’s why people have usually been into making homebrew. Thanks for posting! I think you could make some good friends with beer. But is it appropriate to give to coworkers in an office? Its OK to give your beer away to friends as long as you don’t offend anyone. You certainly can’t sell any beer without a license. I never get it when other homebrewers describe the benefits of our product. With “all the experience” of about six batches of extract brew under my belt, it’s become clear to me that the major benefit of homebrew is that about 15 mins after finishing my one evening beer, I’m suffused with a warm harmonious good-to-be-alive feeling centered in the chest. I’ve drunk moderate amounts of commercial alcoholic drinks all my lengthy adult life, and always just gotten varying degrees of intoxicated, but never anything like this. I think there are psychoactive chemicals in our brew that are neutralized by the process of pasteurization. If my mind is busy, tho, I can miss it. And taste… I’ve been given a Fat Tire and a Corona by friends lately, both of which used to impress me well, but now just taste like so much Bud, and that ain’t good. So good for other homebrewers’ open minds when they say it’s a little cheaper, and praise the joy of doing it yourself, etc but I’m in hog heaven over the vast superiority of our homebrew over all commercial beer, especially in the “mellow high” department. I have brewed many different beers in the 6 yrs. Plus I have brewed several concoctions using only herbs like a combined Clover, Stinging nettles, Dandelions, and another herb. All four together made me a strong and a highly carbonated drink. In one batch, I had three bottles out of 50 explode like a grenade. I had very fine glass and sticky walls. Even under my laptop computer. No hops. Tried hops once with this mixture. Scary. The last few months, I have been brewing wine using bottles of juice from local markets. Two quarts. Like white grape and peach. Some of these turn out pretty good. Happy brewing. I am retired so enjoying two hobbies. Brewing and creating pottery from my wheel. I will be 77 this yr.